Kenneth G. Brandt, Partner began his financial career as a margin clerk. 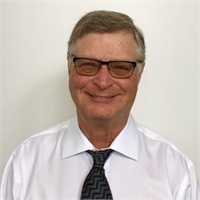 In 1968 he became a registered stock broker, and in 1979, he became a member of the International Association of Financial Planners, Inc. Mr. Brandt was a Senior Vice President at Smith Barney and its predecessor firms. While at Smith Barney he was appointed to the Chairman’s Council, Smith Barney’s most prestigious position, and was recognized as one of their top advisors working with individual money managers. Mr. Brandt has been the featured speaker for various retirement planning programs for Fortune 500 companies and local civic organizations and has conducted numerous seminars on Financial, Estate and Tax Planning. In 1996 Mr. Brandt co-founded WSB Advisors, a Registered Investment Advisor. In 2000, he co-founded BKS Advisors, LLC. In 2001, Mr. Brandt co-founded Platinum Investment Partners, an institutional money management firm specializing in the use of Artificial Intelligence-based models for managing portfolios of Exchange Traded Funds. In 2003 along with Mr. Simmons, he formed Brandt, Kelly & Simmons Securities, a FINRA registered Broker Dealer serving both retail and institutional clients. Currently Mr. Brandt serves as a Partner and Portfolio Manager for the firm.